You may have noticed I've started reading more lifestyle and well-being books in 2018, such as You Do You by Sarah Knight and The Happiness Project by Gretchen Rubin. Combined with calming and evocative reads such as The Last Wilderness by Neil Ansell and O's Little Guide to the Big Questions by the Editors of O, they've inspired me to be more mindful, which is just what I need in my life right now. And the beautifully written and thoughtful The Things You Can Seen Only When You Slow Down is a worthy addition to my collection of reads of this variety. 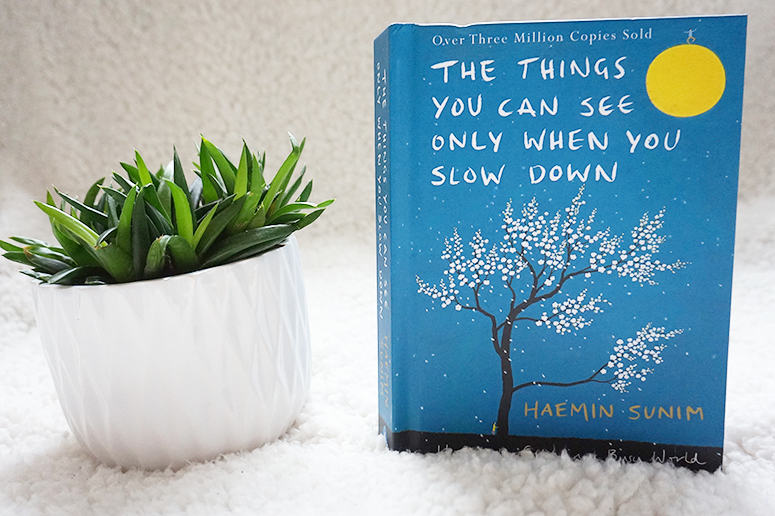 The Things You Can Only See When You Slow Down comprises of a series of inspiring essays by Zen Buddhist teacher and author Haemin Sunim (and translated by Chi-Young Kim), interspersed with thought provoking quotes by him and other influential people in the world of mindfulness. 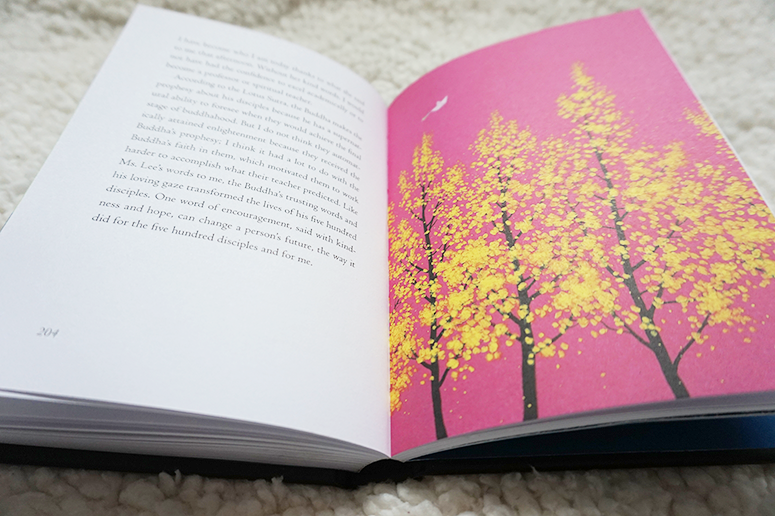 Alongside these there is also stunning art by Youngcheol Lee, which not only beautifully compliments the writing but provides a serene backdrop for contemplation in its own right. Divided in eight distinctive chapters – rest, mindfulness, passion, relationships, love, life, future and spirituality – this is a book that can be read back to front (like I did), but I would advise instead to dip in and out of relevant chapters depending on your own current needs. That way you can soak up the inspiring words much better and apply the teachings and ideas within your own life, rather than all of the advice and 'aha' moments blending together. I'll definitely be returning to a few of the chapters that are particularly poignant to my own life right now to be able to get more value out of the wise words captured within. I personally found the essays more interesting than the individual snippets of advice blended in through the medium of short quotes, just because there were so many of them and it did become difficult to distinguish one from the other after a while. They would work great as individual quote cards or posters, but within the book there were just too many together on the same page. "Those who work in a playful, relaxed manner tend to work efficiently and creatively, those who work nonstop, driven only by stress, work without joy." True words. The Things You Can See Only When You Slow Down is a very inspiring read, filled with poignant advise and calming art work. It's a great additional to my collection of mindfulness and well-being books and one I'd certainly be returning to to revisit some of the essays that I most relate to. Though to get the most value out of each of the chapters, I definitely recommend consuming them in bite-sized chunks rather than all in one go. The Things You Can See Only When You Slow Down is published by Penguin and you can buy your copy now from Foyles or your own preferred retailer.